Wouldn’t you just love to spend a couple of days somewhere close to the sea? Or even board a cruise ship and set sails to a far away and wonderful country? Or just sail from one part of a city to another, like using the “Alsterdampfer” boat in Hamburg (here)? Würden Sie nicht auch ein paar Tage in der Nähe des Wassers verbringen? Oder vielleicht an Bord eines Kreuzfahrtschiffes gehen und die Segel setzen, um zu neuen Ufern aufzubrechen? Oder einfach nur mit dem Alsterdampfer in Hamburg von einem Teil der Stadt zum anderen zu kommen (hier)? Well, if you, like I can’t take a break presently then there’s essence’s new nauti girl trend edition of makeup available. I went straight for the dark blue nail polish called 01 ahoy, boy! and the nail stickers. When I look at my nails now, I think of sun, the marina and ships cruising along. Ahoy, boy! 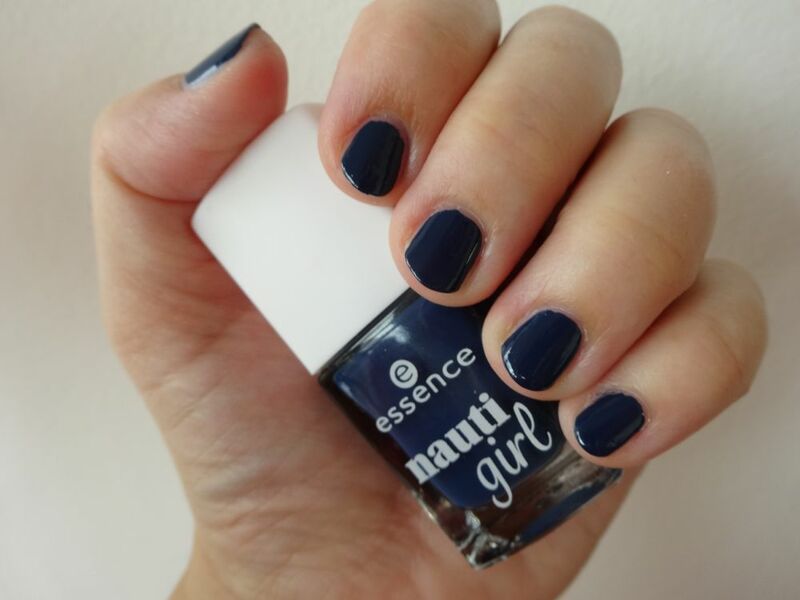 Wenn Sie, so wie ich, momentan keine Auszeit nehmen können, dann gibt’s die neue nauti girl trend edition von essence cosmetics. 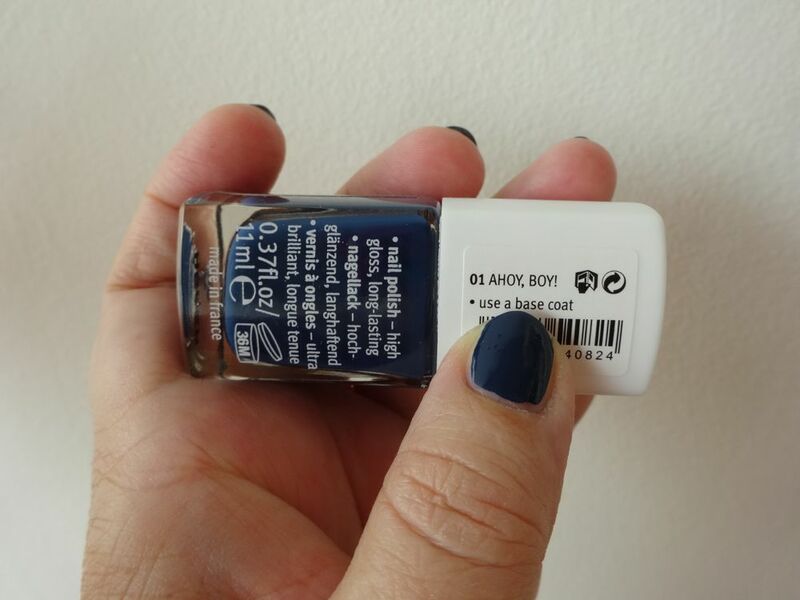 Ich habe mir gleich den dunkelblauen Nagellack genommen, der den schönen Namen 01 ahoy, boy! 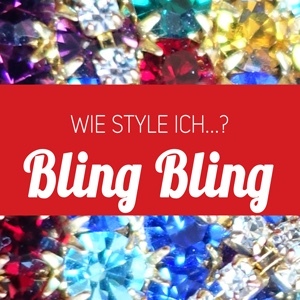 trägt und die passenden Nagelsticker dazu. Wenn ich jetzt auf meine Nägel schaue, denke ich an Sonne, den Hafen und kreuzende Boote. Ahoy, boy! 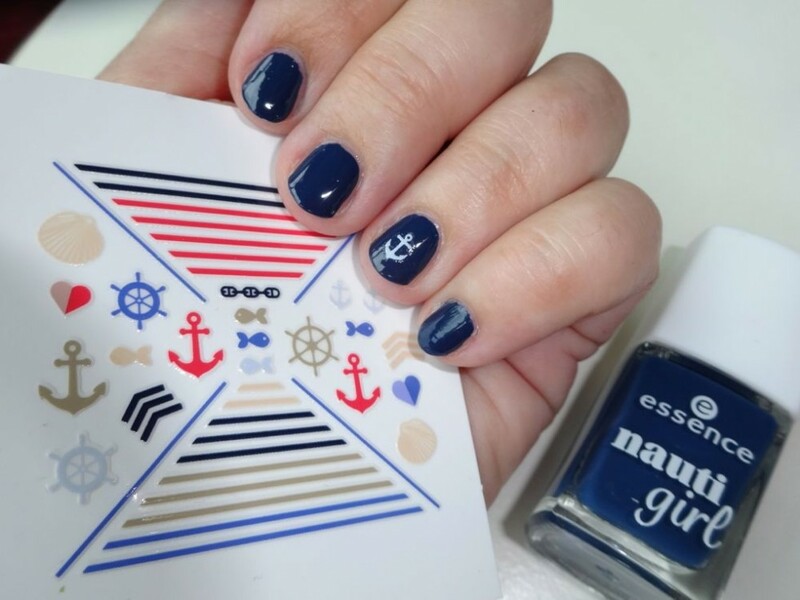 essence nauti girl nail polish 01 ahoy, boy! What do you do to get into a holiday spirit? 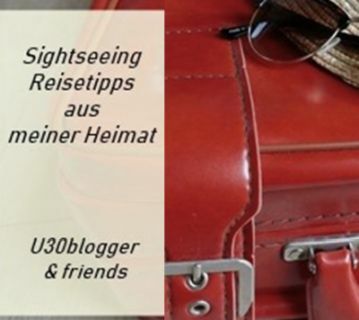 Was tun Sie, um sich selbst in Urlaubsstimmung zu versetzen? I love the way you find happiness no matter which way the wind blows in your life. 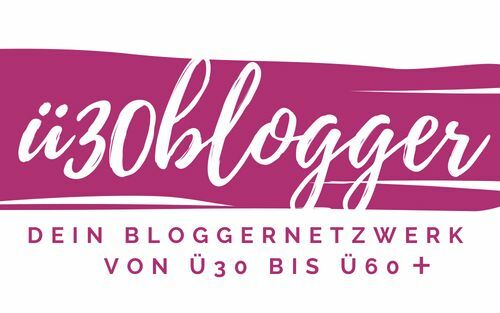 Love your blog HappyFace. 🙂 I try my best, my dear. You know, it’s often the little things that make big differences. Righty?